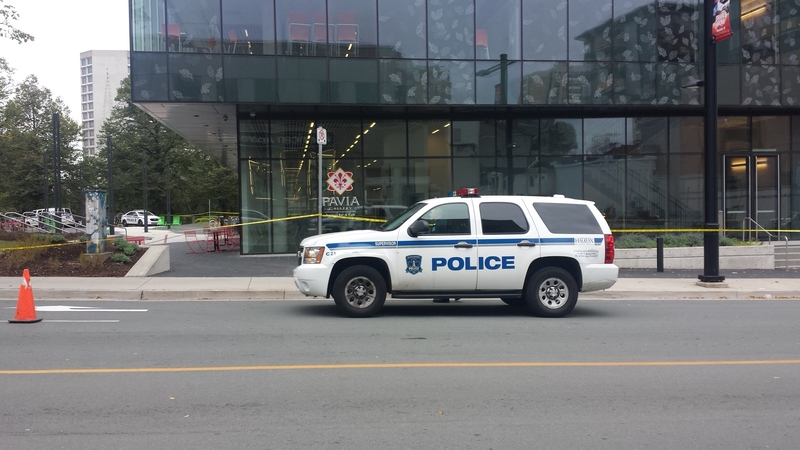 The Halifax Central Library was evacuated Wednesday afternoon after police received a call just before 4 p.m. about a suspicious package. Sidewalks around the Spring Garden Road building were taped off, and Halifax police were asking people to avoid the area for the time being. Smith was one of about 30 people standing on the sidewalk across from the library, on the Queen Street, after the building was cleared. The evacuation comes after a rash of bomb threats at schools and other buildings across Nova Scotia, including a call early Sunday that claimed there was a bomb at the Central Library. Anyone with information about this latest incident was asked to contact the police at 902-490-5020. An investigation is under way.